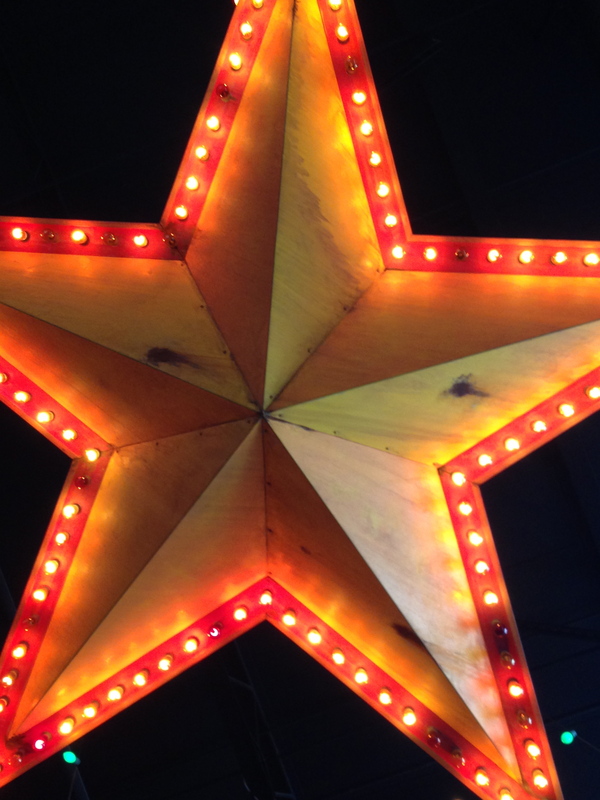 As part of our summer bucket list, we’ve been trying new restaurants around Atlanta each month. 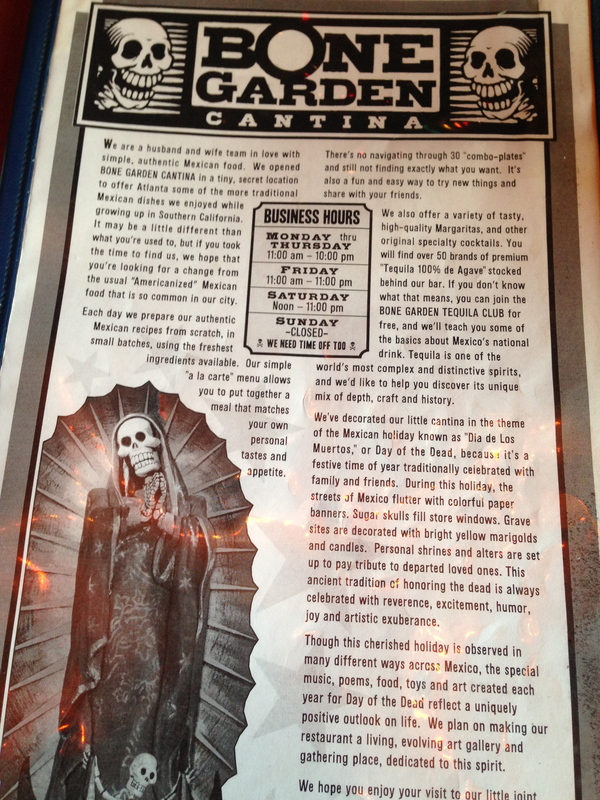 We recently checked out Bone Garden Cantina for a date night. 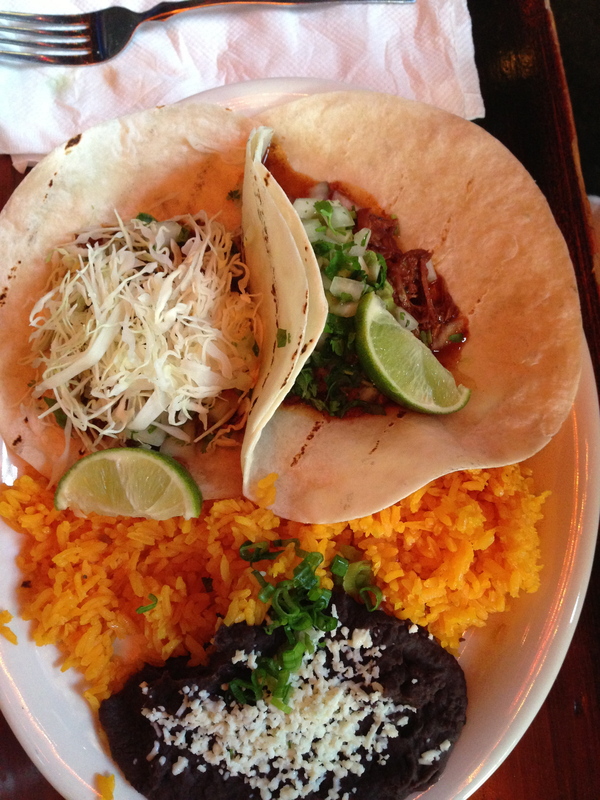 As they say on their website, this is authentic Mexican food… not your local combo meal restaurant. (And they actually reference the nearest Taco Bell location on the menu in case that’s what you’re actually after.) It’s a small place that’s very out of the way on the Westside. 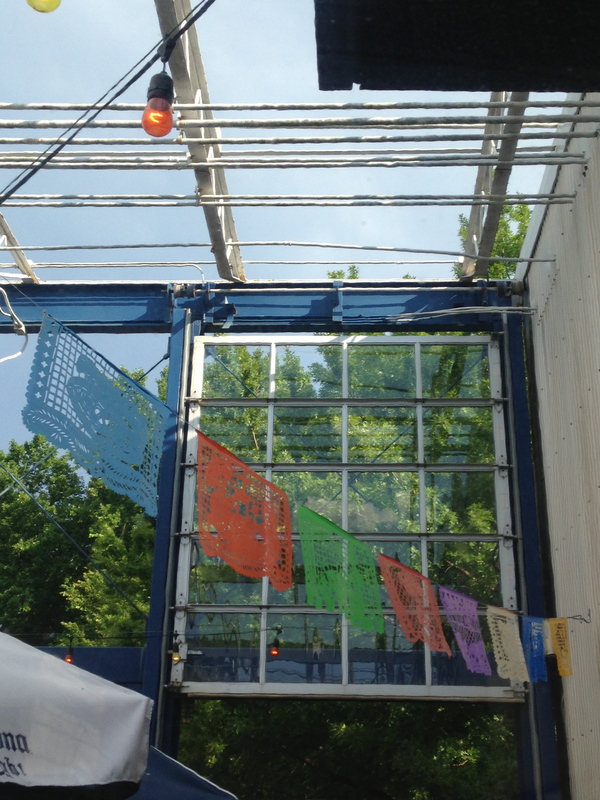 You’d never know it was there, if not for the giant skeleton mariachi member posted out by the entrance to the building complex. 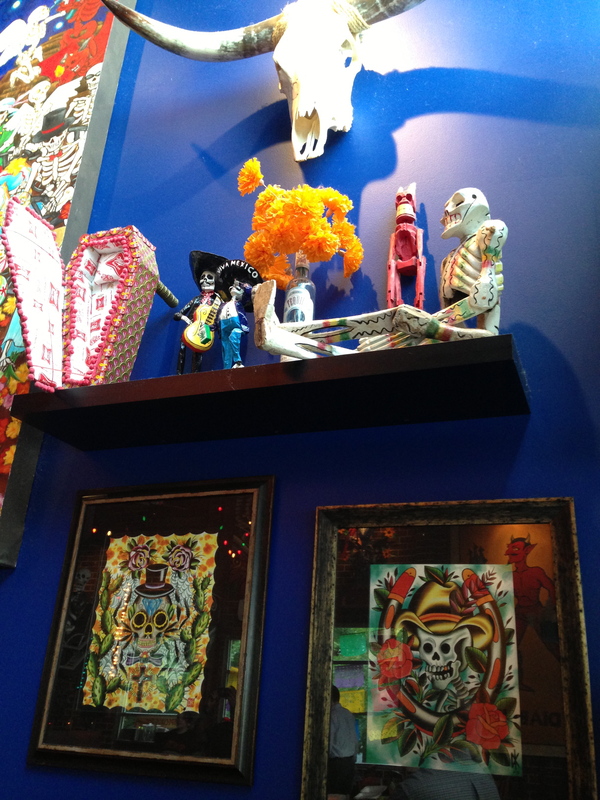 The decor is “day of the dead”… lots of skeletons and great Mexican art everywhere. 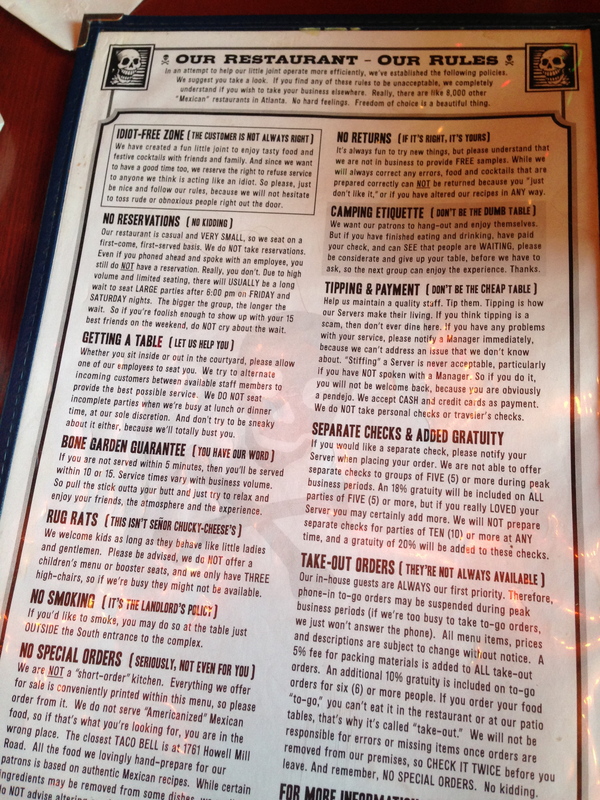 They have lots of funny rules on the menu (similar to the Vortex in Atlanta), and I would recommend reading them for a good laugh. Hopefully you wouldn’t do any of the things they tell you not to anyway. 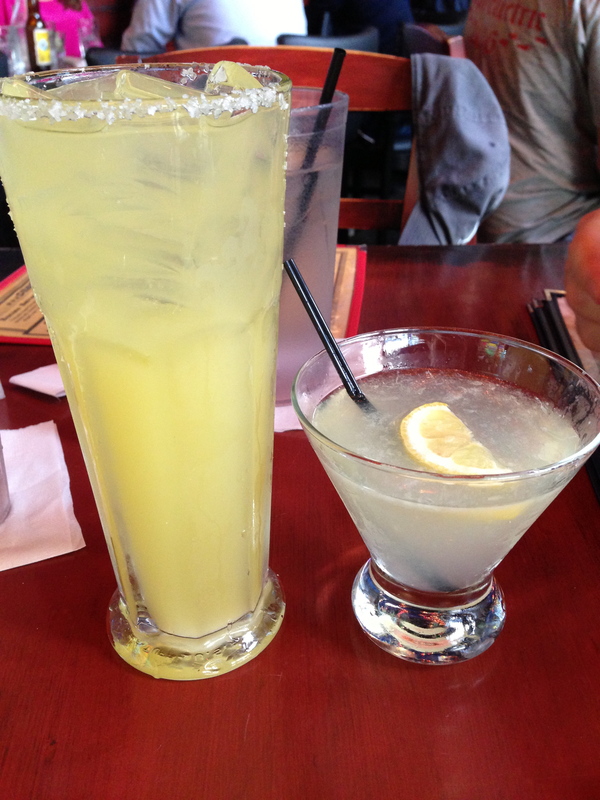 Because it was Friday, we started off with the Texas Margarita (made with a splash of OJ) and the Spicy Hombre (spicy mix of Milagro Silver Tequila, habenero-infused tequila and ginger liqueur, with fresh lemon juice and homemade serrano pepper syrup). Mine was the huge one on the left. I’m a sucker for cheese dip, and theirs did not disappoint. 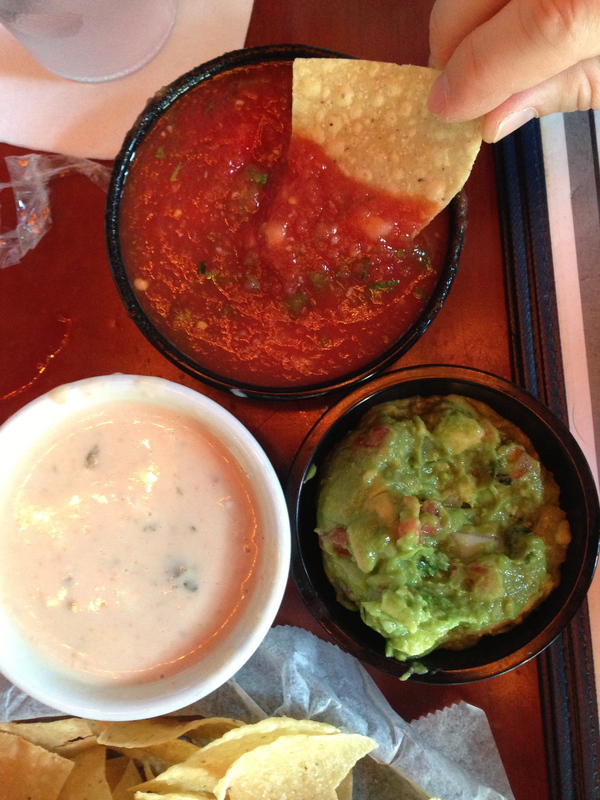 We chose the best of all worlds with the Three Amigos — Cheese Dip, Guacamole and Salsa Fresca. We demolished the guac in about 5 minutes and tried our best on the other 2 dips. That’s the problem with Mexican food… I always, always fill up on chips and dip before I even get to the main course. 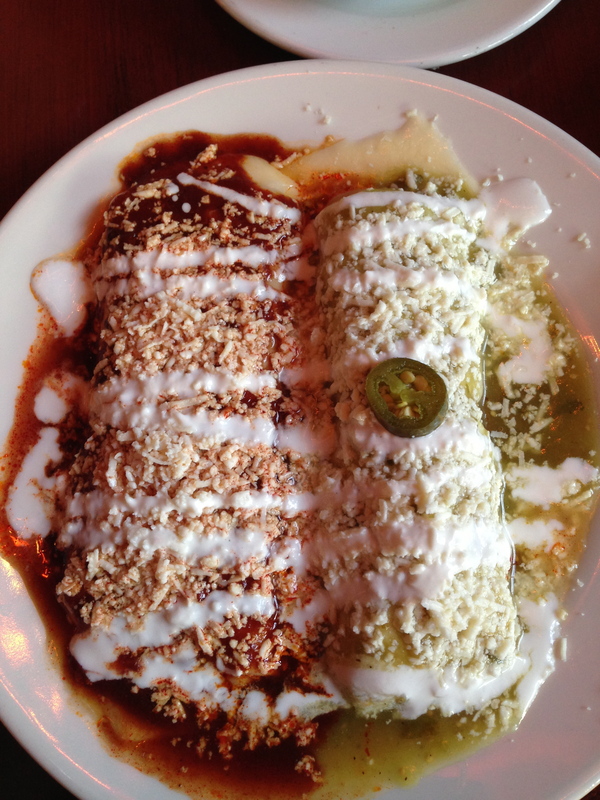 For dinner, I chose 2 different enchiladas (looove me some good enchiladas!). They were the Desebrado de Res (slow-cooked brisket topped with salsa de tomate, chihuahua cheese and sour cream) and the POCO CHIHUAHUA (melted chihuahua cheese topped with guajillo ranchero sauce, queso fresco and sour cream). Both were delicious, but I especially loved the brisket. Craig got 2 tacos — the BARBACOA de chivo (slow-braised GOAT topped with avocado, cilantro, onion and salsa verde) and the Chili de Arbol (roasted pork topped with a VERY spicy chile de arbol sauce, fresh cilantro and diced onions). We also got sides of refried black beans (delish!) and rice (ok). I wish we’d gotten the Elote (grilled corn on the cob covered with mayo, queso fresco and chili powder), so that’ll definitely happen next time. I can’t wait to go back to Bone Garden soon! 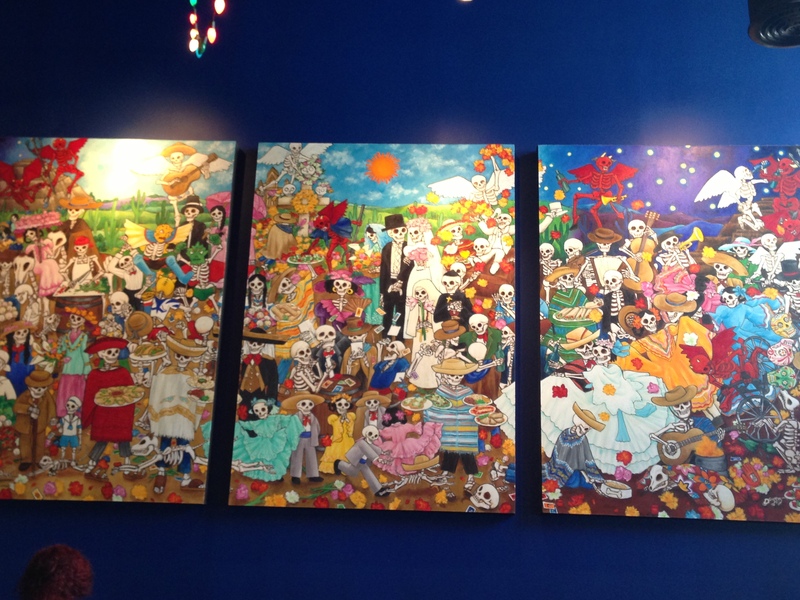 I think it’s quickly jumped to the top of my list for local Mexican restaurants. 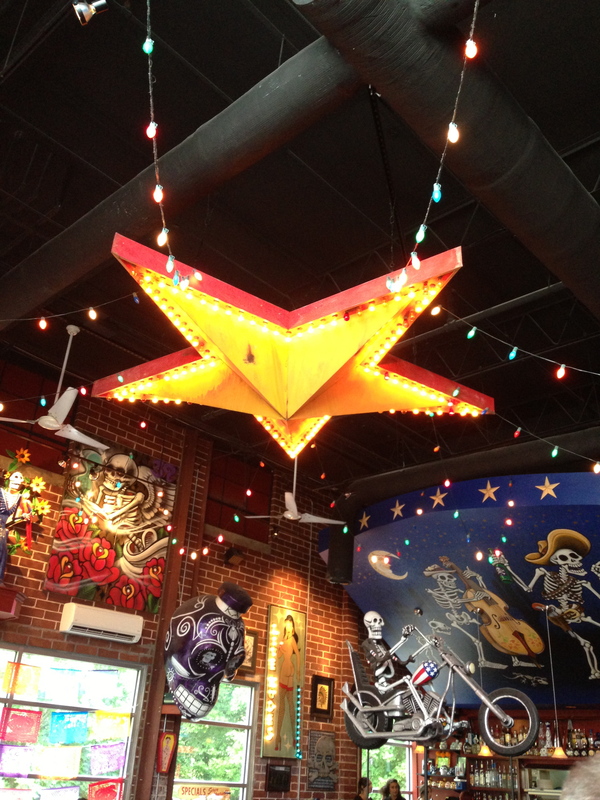 If you’re in Atlanta, what’s your favorite Mexican spot in town?